Gleim offers a variety of courses to help you become a Flight Instructor or Ground Instructor and maintain your certificate. 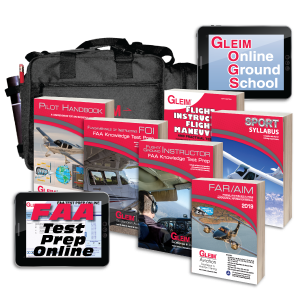 Enhance your knowledge with the Gleim Online Ground School. This course guarantees you will pass the written exam. It is included with Our Flight/Ground Instructor + FOI Kit . 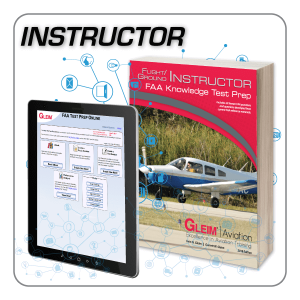 The Gleim Flight Instructor Refresher Course (FIRC) is an FAA-approved online course that enables flight instructors to renew their CFI certificates as prescribed by 14 CFR Sec. 61.197. As a Certified Flight Instructor, or CFI, you will be responsible for helping people realize their dream of flight. This is one of the most rewarding forms of flying you will engage in, both for yourself and countless others. In the process you will acquire skills that will serve you well in your future aviation endeavors. 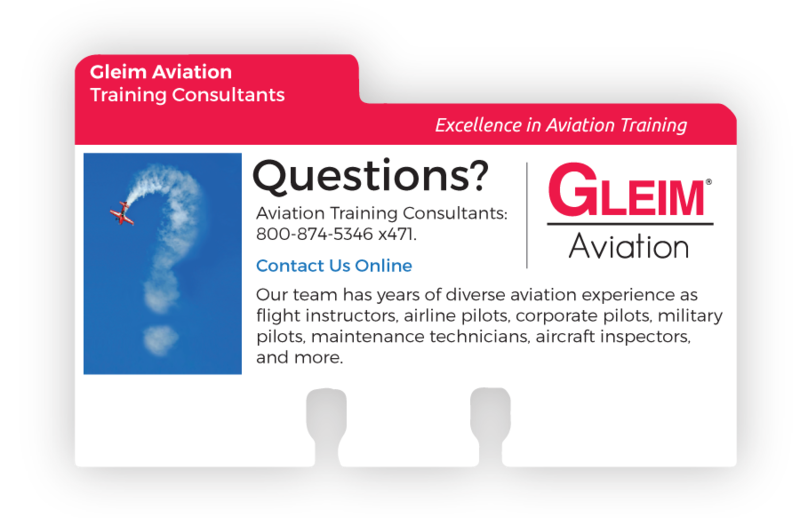 Learn about what is required, how you can get started, and what Gleim products can help you achieve your dreams of becoming a Flight Instructor. 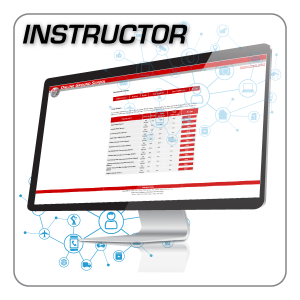 There are several tests required to become a flight or ground instructor, including the Fundamentals of Instructing (FOI) knowledge test, and a test specific to the type of instructor certificate you are seeking. 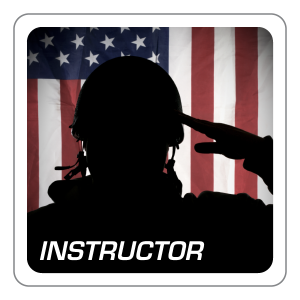 This includes Flight Instructor Airplane (FIA), Sport Pilot Flight Instructor (SIA), Basic Ground Instructor (BGI), Advanced Ground Instructor (AGI), or Instrument Ground Instructor (IGI). More information about the knowledge tests is available in step 2 below. A practical test is required for a flight instructor certificate, but not for ground instructors. Successfully complete a practical test that will be given as a final exam by an FAA inspector as specified in the FAA's Flight Instructor Practical Test Standards. A flight instructor may not conduct flight training in any aircraft for which the flight instructor does not hold a pilot and flight instructor certificate with the applicable category and class, and if appropriate, a type rating. A flight instructor who provides instrument training for the issuance of an instrument rating must hold an instrument rating on his flight instructor certificate appropriate to the category and class of aircraft used in training. In any 24-consecutive hour period, a flight instructor may not conduct more than 8 hours of flight instruction. Score a 70% or better on the written exam. 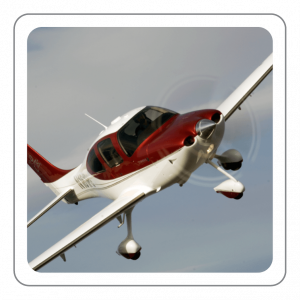 Take and pass your FAA pilot knowledge (both Flight Instructor and Fundamentals of Instructing) with a score of 70% or better. 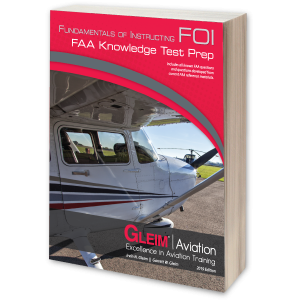 Prepare for the Fundamentals of Instructing (FOI) knowledge test using the Gleim Fundamentals of Instructing Knowledge Test book, Gleim Online Ground School, and FAA Test Prep Online. 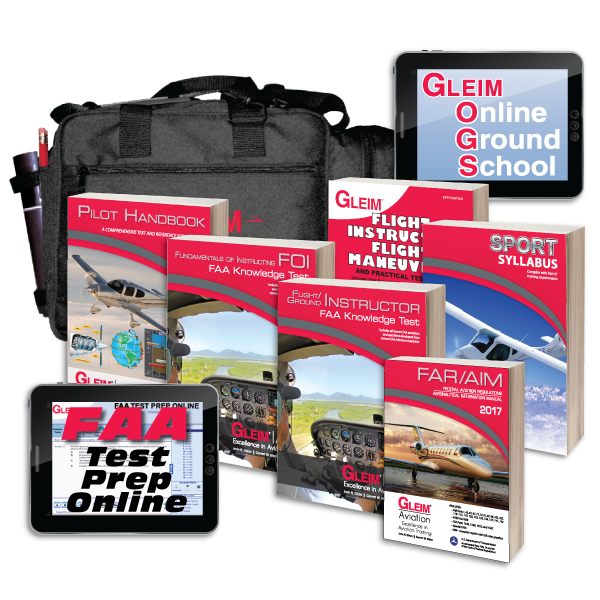 If you are pursuing your dream to become a Flight Instructor (FIA), Sport Pilot Instructor (SIA) or Ground Instructor (BGI, AGI) use the Gleim Flight/Ground Instructor Knowledge Test book, Gleim Online Ground School, and Gleim FAA Test Prep Online. 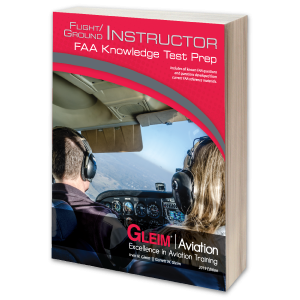 To become an Instrument Ground Instructor, use the Gleim Instrument Pilot Knowledge Test book, Gleim Online Ground School, and Gleim FAA Test Prep Online. For all flight or ground instructor certificates, you must pass the Fundamentals of Instructing (FOI) knowledge test. This test must only be passed once. It is not required if you are already a CFI or want to upgrade an existing ground instructor certificate. You may also skip the FOI test if you hold a teacher's certificate issued by a state, county, city, or municipality that authorizes you to teach at a 7th grade educational level or higher or are employed as a teacher at an accredited college or university. Determine what type of flight instructor certificate you want to pursue. 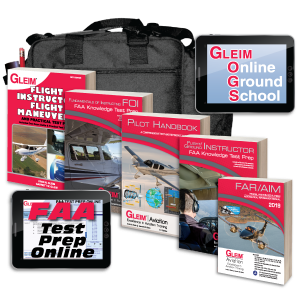 Purchase the Gleim Flight/Ground Instructor Kit or the Sport Pilot Flight Instructor Kit. 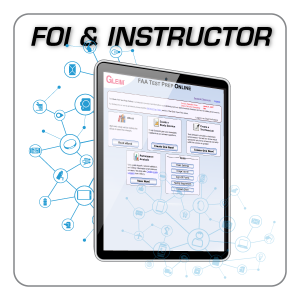 Both kits include everything you need to study and reference in order to prepare for the FAA knowledge test, also known as the written exam. This computerized test has 40 multiple choice test questions. 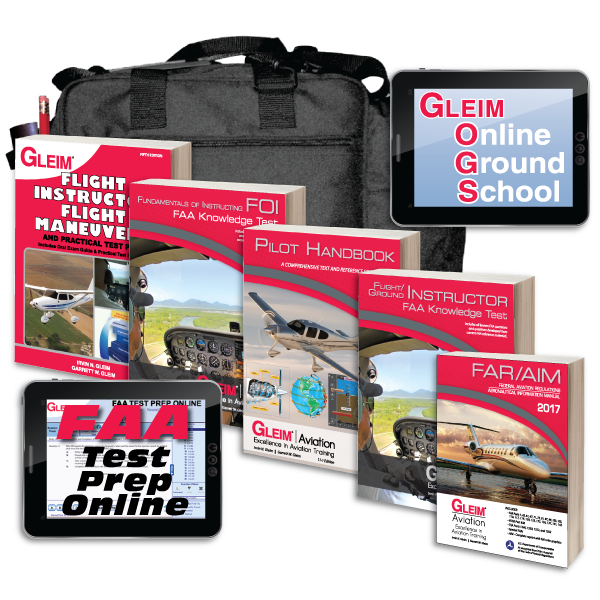 The Gleim Flight/Ground Instructor + FOI Kit is an all-in-one training program designed to expedite training for the Flight/Ground Instructor rating. This kit contains everything you need to become a Certified Flight Instructor and/or Ground Instructor. A basic ground instructor (BGI) can provide ground training for sport, recreational, or private pilot students. BGIs may endorse applicants for those certificates to take the knowledge exam. A BGI may also complete the ground portion of the flight review. To become a BGI, you must pass the 80-question BGI knowledge test. No practical test is required. An advanced ground instructor (AGI) can provide ground training for any Part 61 pilot certificate, except the instrument rating. AGIs may endorse applicants for those certificates to take the knowledge exam. An AGI may also complete the ground portion of the flight review. To become an AGI, you must pass the 100-question AGI knowledge test. No practical test is required. An instrument ground instructor (IGI) can provide ground training for the instrument rating. IGIs may endorse applicants for the instrument knowledge exam. An IGI may also provide ground training for an instrument proficiency check. To become an IGI, you must pass the 50-question IGI knowledge test. No practical test is required. Teaching aviation is one of the most rewarding aspects of flying. As an instructor, not only do you get to share your passion for aviation, you will also be a mentor for aspiring aviators. Learning to teach starts with preparing for the FOI knowledge test. In order to gain the valuable experience to teach flight maneuvers, you should also develop your own lesson plans. The FOI training will explain this in detail. Using a Gleim syllabus makes lesson planning a breeze for each certificate. 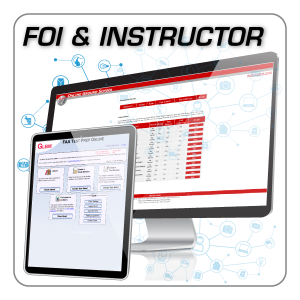 When you train with a CFI, you will use your own lesson plans to simulate teaching students. This extra step in preparation will show your evaluator during the practical test that you are ready to teach in the real world. Being a flight instructor carries a huge responsibility. Your authorization to endorse student pilots for solo flight is taken very seriously. During the practical test, you must demonstrate to the FAA that your knowledge and skills, not just as a pilot but also as a teacher, will develop safe, competent pilots. Flight instructors should be knowledgeable of not only what to do and how to do it, but also why a maneuver is performed and what common errors result if the maneuver or procedure is not performed properly. 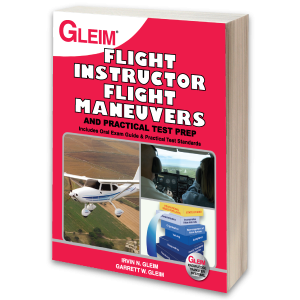 The Gleim Flight Instructor Flight Maneuvers book is the ultimate guide to the practical test. 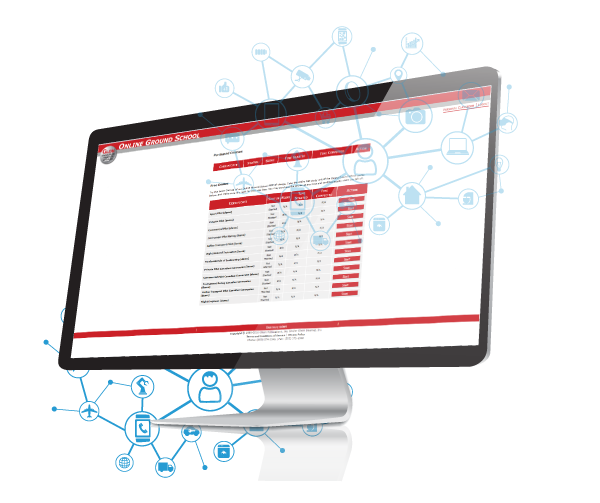 Every task element from the practical test standards is explained in detail with all the information you need to successfully prepare for the practical test. This book also includes a full reprint of the practical test standards and a comprehensive oral exam guide with over 1,400 sample questions. We provide detailed answers and explanations organized by subject matter so you will avoid surprises and confidently pass your practical test to become a CFI. 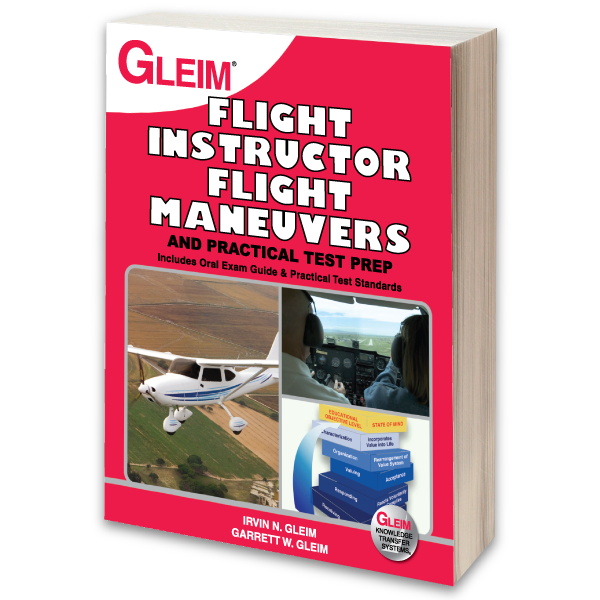 What makes the Gleim Flight Instructor Refresher Course (FIRC) the best way to maintain your certificate? The Gleim Flight Instructor Refresher Course (FIRC) is designed to increase your knowledge and abilities as an instructor and a pilot, in addition to renewing your flight instructor certificate. It is a structured, interactive, self-study review and certification program that requires 16 hours of participation. 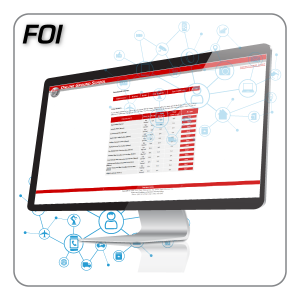 See why so many CFIs renew with Gleim every time. Try Study Unit 1 FREE!